Our business model is to work with specially selected, loyal, and trusted Associates. These people are the best in the industry and work as fully experienced independent consultants in their own right. We only partner with people who have achieved real success in their particular business environments. 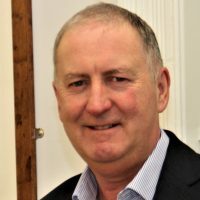 Colin is a highly experienced and successful consultant providing business improvement services via the company he founded. Previously he held director level positions within blue chip organisations. Colin has gained significant exposure to taking a senior leadership role in defining, implementing, and renewing change and improvement efforts within organisations. Recognised as an excellent trainer, hundreds of professionals have benefited from Colin’s unique interactive style. 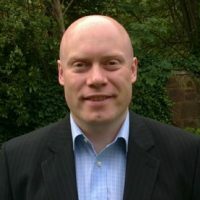 He has developed highly practical training methods and materials in Lean, Six Sigma, Change and Performance Management. He provides specialist support from his UK base and has clients in USA, Switzerland, Norway, Hungary, Ireland and Croatia. 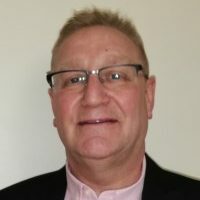 Colin has delivered multi-million pound cost savings for his clients via successful Lean Six Sigma, and Change Leadership improvement programmes and has many case studies to share. 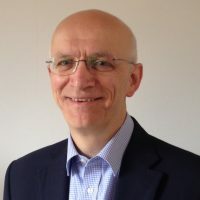 He has supported organisations working in finance, electronics, engineering, food, health, medical, biotech, publishing, utilities, military, local and national government and agencies, and the third sector. Colin was Chair of the first ever Quality Scotland Working Party and authored their publication called “The Path To Quality”. He delivered the keynote speech at the first ever UK Six Sigma Club and has spoken at various conferences including Pharmatech, Hungary and the International Lean Six Sigma Conference, Dubai. Colin is a BQF endorsed assessor for Lean Six Sigma Black Belt Certifications and has managed many certifications internationally. Colin is a guest lecturer at Strathclyde and Heriot Watt Universities and has an honours degree in physics. 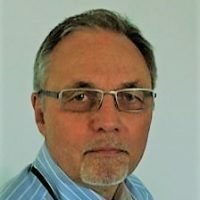 Jerry is an experienced Lean Six Sigma practitioner with a wide range of experience and skills gained from Manufacturing, Quality, Engineering, Supply chain, consulting and Technology/Commercial roles. Jerry has worked on both sides of the supply chain (supplier – customer) internationally to improve Lean Manufacturing and Quality. In his consultative role with the Manufacturing Advisory Service he has helped diverse companies continuously improve their operations, Quality and Supply Chains. Jerry has received multiple company testimonials for his advisory work including “Team Player Of The Year” and “Leading Practitioner”. Having come from a Process Engineering / Quality background Jerry has developed a deep understanding of rigorous problem solving and continuous improvement techniques having applied these internationally in industries including electronics, automotive, component engineering, oil and gas, life sciences and food. John Craig is a vastly experienced leader in the provision of business performance improvement services. Working closely with a number of blue chip organisations he has helped them deliver significant improvements in their key business metrics. His approach is a combination of coaching, organisational engagement and hands-on delivery. Through the use of Lean/Six Sigma tools and methodologies and sound Project Management he has a delivered sizeable cost, efficiency and customer satisfaction improvements across his portfolio of successes. He is recognised as an excellent facilitator and coach who can operate at all levels within an organisation and can deliver in a wide range of cultural dimensions. John’s experience has been built from occupying and number of senior staff level positions in Compaq, Motorola and Honeywell. Andy has extensive experience in helping local and global businesses improve their operational performance, primarily through Lean performance improvement, and process-driven transformation. Andy’s consulting experience covers a wide range of private sector clients, in industry and the service sector. He has a very strong track record in delivering positive results and enhancing client capability. Lean performance improvement – Improving customer satisfaction by reducing lead times, and enhancing client business performance by improving quality and reducing costs through the application of Lean thinking. Process driven transformation – Leading cross functional projects that combine operations, engineering, planning, sales and finance to transform clients’ business performance. Inventory management – Involvement in business planning, daily short interval scheduling, and systematic, timely transportation of inventory between remote workstations, guaranteeing on time in full material supply to customers. Coaching and mentoring – Providing detailed Yellow and Green Belt training, and project support, to build client capability in Lean Six Sigma improvement techniques. Nancy is an accredited Lean Six Sigma Master Black Belt with more than 25 years’ experience in continuous improvement and quality management. She has delivered significant, measurable benefits through the deployment and implementation of improvement projects that span the complete business process value chain. Nancy’s unique experience is the result of operating in roles across a number of different and diverse organisations, including Defence, Manufacturing, Outsourcing, Financial Services and Customer Service. 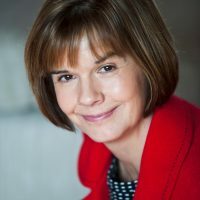 Nancy is an experienced Leader who has recruited, developed and managed a number of continuous improvement teams, including the matrix management and coaching of teams in different global locations (Europe, Asia, India and South Africa). Nancy’s key expertise includes Lean & Six Sigma Strategy & Implementation – Working at a senior level with large global corporations to develop lean and six sigma strategy aligned to key business drivers and delivering measurable improvements in customer experience. Business Process Re-Engineering – Leading improvement teams to simplify and stream-line end-to-end business processes, creating target processes that can then be enabled through technology and IT investment. 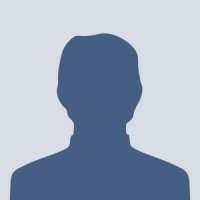 Simon Train is a software solution architect and developer with over 20 years experience building client applications. He has designed and developed successful software products used by companies such as Microsoft, Cap Gemini, Arup, Warner Bros, Unilever, Siemens and Barr Construction. He has a strong track record of bridging the gap between complex business requirements and simple software solutions. Simon was the architect and developer for the web based business coordination tool, “FocalPoint”, our very own Strategy Deployment, Task Coordination and Performance Management System. He has deployed FocalPoint in small, medium and large (FTSE100) organisations. Simon is also founder and owner of his own successful software consultancy, Ecatenate. Kirstin is highly experienced in marketing, business development and new business proposals. She is passionate about customer care and about building customer relationships based on trust. Kirstin keenly promotes the successes that clients have achieved in their journey to excellence. She previously worked for the UK’s largest engineering services organisation, a large renewable energy company and a leading accountancy and business advisory organisation. Kirstin has robust interpretative and communication skills, and transforms proposed solutions for clients in ways which deliver high levels of customer satisfaction. She has comprehensive Project Management skills and uses effective, open communication to consistently deliver successful projects. 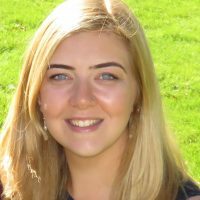 Kirstin is experienced creating plans and approaches to solve customer challenges and in overcoming cultural differences, geography and language. She coherently matches customer needs with our company capabilities. She seeks to understand and present solutions which are aligned to client strategies.